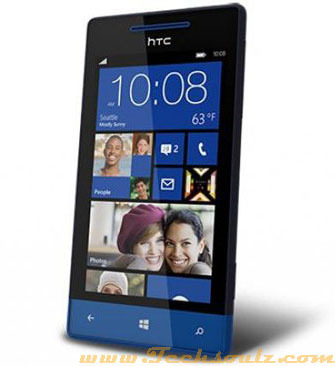 The design of HTC’s Windows Phone 8S (WP8S) does not deviate much from its larger sibling, the Windows Phone 8X. You still get the angular chassis with contoured sides and non-slip matte polycarbonate build, which makes for good handling. Of course, sharing the same design principles as the WP8X means that the WP8S suffers from the same usability issues; for one thing, both the power and volume buttons lack sufﬁcient tactile feedback when pressed. On the other hand, in terms of build quality, the WP8S still comes across as one of the better devices available for the mid-range. Dressed in a two-tone body with a choice of either Fiesta Red or Atlantic Blue, the WP8S may seem a tad too loud for the corporate world, but will ﬁnd itself at home in the hands of the younger crowd. It comes with a microSD card slot and microSIM card slot, which can be accessed by removing the bottom section cover. The WP8S comes preloaded with exclusive HTC features such as Beats Audio integration, HTC (hub) and Photo Enhancer. As a WP8 device, you can resize live tiles on the home screen, and also get access to 7GB of free SkyDrive online storage. Despite its mediocre speciﬁcations (Qualcomm Snapdragon S4 dual-core 1GHz and 512MB RAM), we found the overall user experience to be generally snappy and smooth. Its 4-inch Super LCD display with a resolution of 800 x 480 pixels is adequate to meet the needs of budget consumers. Text and images look acceptable with good viewing angles and contrast. Although HTC says the WP8S comes with 4GB of onboard storage capacity, the actual available capacity is much lesser due to part of the storage being taken up by the operating system. Fortunately, there is a microSD card slot for memory expansion. The 5-megapixel rear autofocus camera comes across as merely average. It’s not exactly spectacular, but does deliver passable images with some noticeable noise. Compared to available Windows Phone devices, the WP8S had one of the lowest uptimes of four hours and 23 minutes in our standard battery test. Outside of our battery test, the WP8S also failed to make it through a full day; you’ll to watch your usage carefully, or carry around a rechargeable battery. The WP8S does impress with its solid build and handling, but its main competitor, Nokia Lumia 820 is able to run laps around it by offering better speciﬁcations, exclusive access to Nokia apps and better overall performance. Nonetheless, we do admit that the price tag of $418 is hard to ignore if you’re on a budget.